PDF AND GOOGLE FORM CODE INCLUDED. 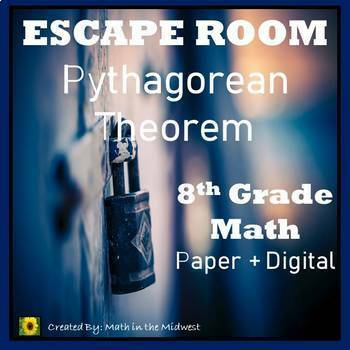 It is a great way for students to work together and review their knowledge of the 8th Grade Pythagorean Theorem Standards. 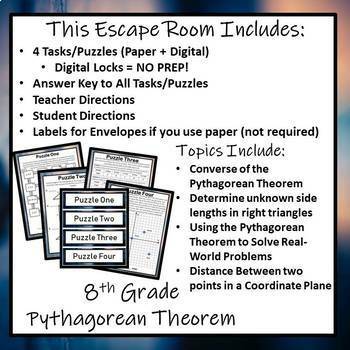 There are a total of 4 tasks/puzzles included as well as a Google Form Code if you want to do the whole thing digitally with no paper. If you would rather use paper all you have to do is print and you are ready to go, no prep needed! All of the tasks/puzzles are included in a PDF for quick printing.